The following packaged tours or combination tours you can choose from. There are our most booked tours. The price of these tours are based on our Standard Rate of $157.07 per hour for our Honda Odysseys and $193.72 per hour for our Chevy Suburban. Winter rates are in effect from 20 December - 10 January. Standardized Rates Sheet . 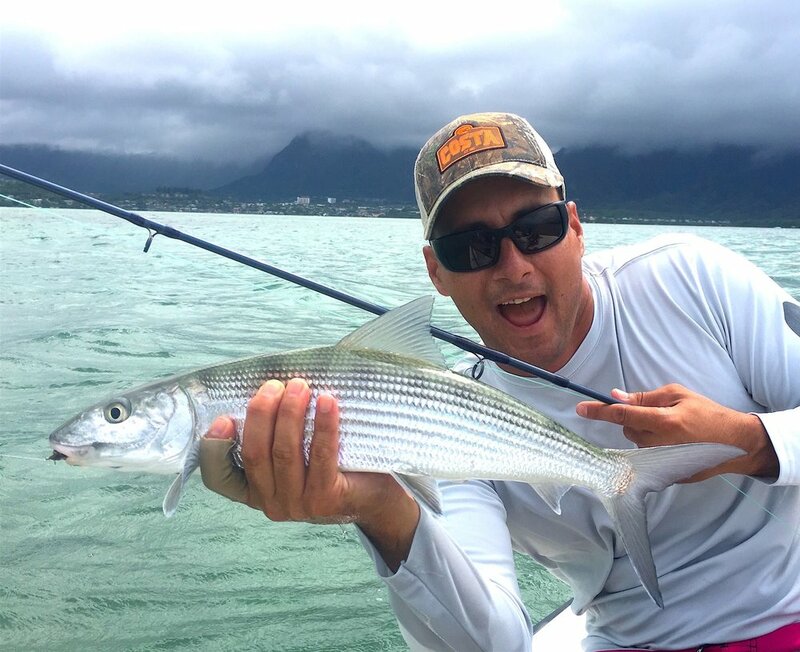 We target Bonefish and Giant Trevally. A maximum of 2 anglers on our flats boat and a maximum of 3 anglers on our wadding tours. We provide the fly fishing equipment, reef walkers and flies. We target Bonefish and reef fish. A maximum of 2 anglers on our flats boat and maximum of 5 people from shore. We provide spinner rods, fishing tackle, reef walkers, and bait. We target reef fish. A maximum of 1 spearfished per guide. We provide the fins, dive buoy, three prong spear and mask. All dives are from shore. Transportation is optional. Clients can meet instructor at dive location. Dive location varies depending on wether, waves and ocean conditions. Please call to coordinate dive location. Fishing from a boat. Maximum of 5 people. We provide the gear and transportation. Tour may not be available or cancelled if weather, waves and ocean conditions, waves and ocean conditions are not favorable. Please call to book tour. The tour is roughly 7 hours from pick up to drop off. 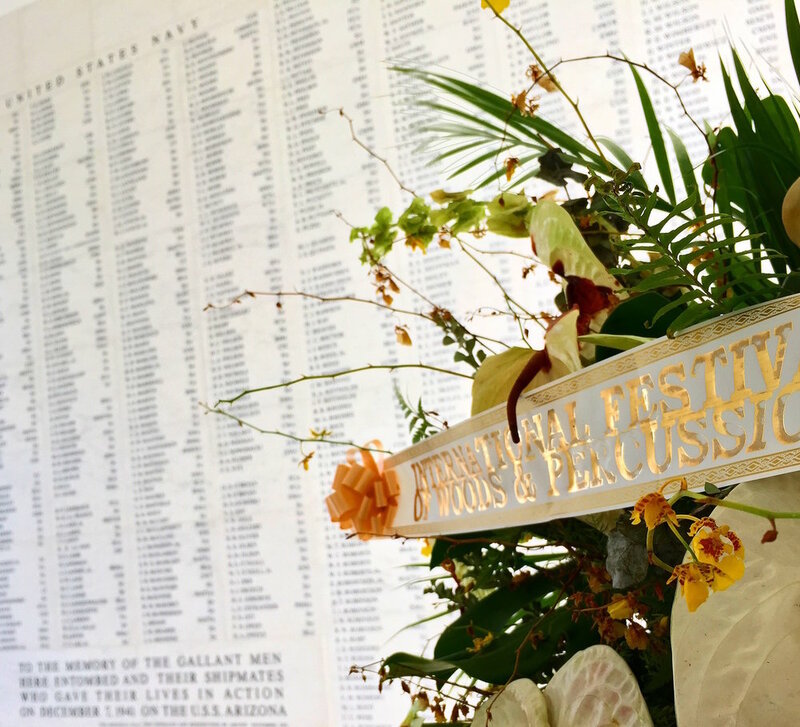 Visit the memorial within 3 hors from pick up locations in Waikiki. We secure the tickets for the Arizona Memorial. A maximum of 6 people per van and a maximum of 7 people per SUV. Please inquire for larger groups. Visit both sites within 4 hours from a pick up location in Waikiki. We will secure Arizona Memorial Tickets; all other admissions are the responsibility of the client. A maximum of 6 people per van and 7 people per SUV. Please inquire for larger groups. 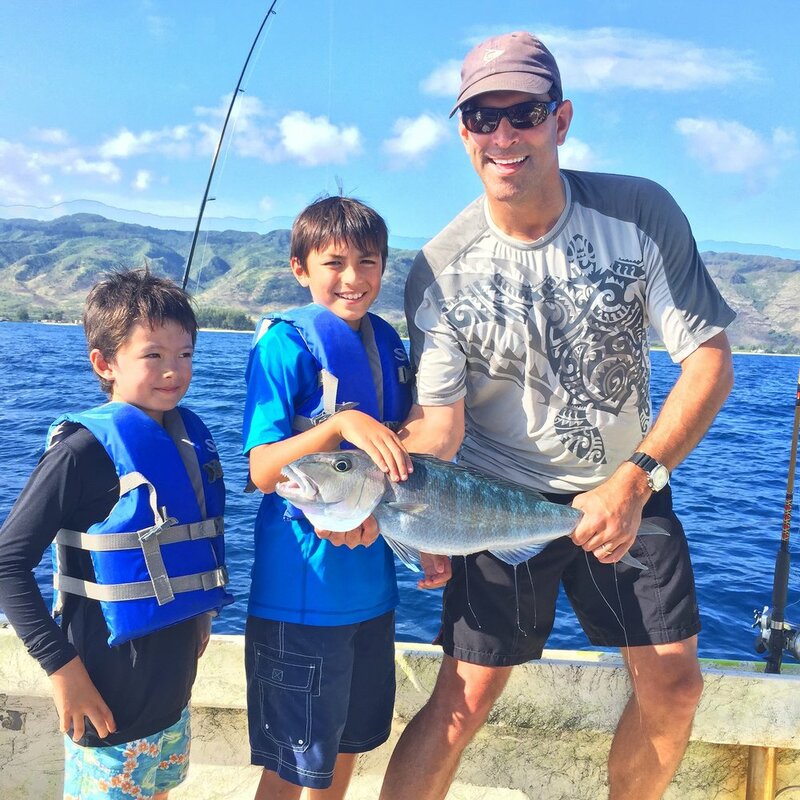 Visit three sites within 5 hours from pick up location in Waikiki. We will secure Arizona Memorial Tickets; all other admissions are the responsibility of the client. Maximum of 6 people per van and 7 people per SUV. Please inquire for larger groups. Visit all sites within 7 hours from pick up locations in Waikiki. The USS Arizona Memorial Tickets are included; all other admissions are the responsibility of the client. A maximum of 6 people per van and 7 people per SUV. Please inquire for larger groups. Our most popular tour! Visit two sites within 5 hours from pick up location in Waikiki. USS Arizona tickets are included; all other admissions are the responsibility of the clients. Maximum of 6 people per van and 7 people per SUV. Please inquire for larger groups. Possible stops: Byodo-in Temple, Pali Lookout, Laie Point, Sunset Beach, Pipeline, Laeiwa, Doll Pineapple, Matsumoto Shave Ice and More. We provide recommendations for lunch; lunch cost is the responsibility of the client. A maximum of 6 people per van and maximum of 7 people per SUV. Please inquire for larger groups. Possible Stops: Diamond Head, Holona Blowhole, Lanai Lookout, Sand Beach, Makapuu, Pali Lookout, Royal Mosuleum, China Town, Bellows Beach, and more. We provide recommendation for lunch; lunch cost is the responsibility of the client. A maximum of 6 people per van and maximum of 7 people per SUV. Please inquire for larger groups. A combined the East Side and North shore. Possible stops: Diamond Head, Lanai Lookout, Kaneohe, Byodo-in Temple, Laie Lookout, Sunset Beach, Pipeline, Haleiwa, and Dole. We provide recommendations for lunch; lunch cost is the responsibility of the client. A maximum of 6 people per van and a maximum of 7 people per SUV. Please inquire for larger groups. Visit the Arizona Memorial followed by a tour of the North Shore. This tour is about 6-7 hours in duration. Possible sites include: Dole Pineapple, Haleiwa, Pipeline, Laie Point, Byodo-In Temple and Pali Lookout. We provide recommendation for lunch; lunch cost is the responsibility of the client. A maximum of 6 people per van and a maximum of 7 people per SUV. Please inquire for larger groups. Snorkel at Hanauma Bay or Sharks Cove! Hanauma Bay is regulated by a permit, so please call to inquire. Maximum of 5 people per instructor at Hanauma Bay, and a maximum of 6 people at Sharks Cove. Sharks Cove tours are roughly 4 hours and Hanauma Bay tours are roughly 3 hours. We provide the snorkel equipment. Please inquire for larger groups. Stand up paddle location is in Haleiwa Town on the North Shore. Tour is roughly 4 hours in duration. A maximum of 6 people per van and a maximum of 7 people per SUV. Please inquire for larger groups. SUP rentals not included in the cost. Waterfalls, scenic hikes, and cultural hikes are available. hikes range from 1.5 miles to 4 miles. More experience hikers can inquire about more difficult hikes. A maximum of 6 people per van and a maximum of 7 people per SUV. Please inquire about larger groups.